If you think of the Lake District, your mind will likely conjure up images of rolling Cumbrian countryside, breathtaking mountain peaks, shimmering glistening lakes, charming towns with cobblestone streets, and even modern-day tourism. 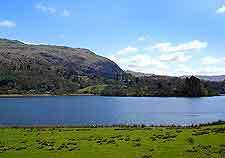 Others will connect the Lake District with its famous past residents, which have included romantic 'Lake Poets' such as William Wordsworth, and children's author, Beatrix Potter. 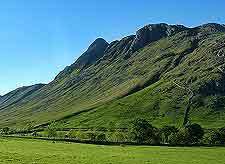 Hiking in the Lake District is quite exceptional, and the multitude of hiking trails available attract literally millions of tourists in the summer months, who come to enjoy the endless scenery and some of the finest walking trails that England has to offer. Tourist information is widely available in all of the main towns, such as Ambleside, Bowness, Coniston, Kendal, Keswick and Windermere. The National Trust now owns a staggering quarter of the entire Lake District, along with many of its top attractions. Each year, literally thousands of tourists head to the Lake District and its National Park to enjoy the outstanding lakeside views and charming towns, villages and hamlets. Some of the most visited of these towns include Grasmere, Hawkshead, Keswick and Ullswater, all of which are brimming with tea rooms, B&Bs, gift shops and quirky attractions. 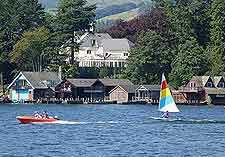 Also of note are the towns of both Bowness and Windermere, which are characterized by their extensive Victorian architecture and tourist appeal, with the Bowness Pier in particular being well worth a look. 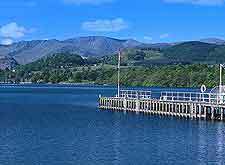 More information about Lake District Tourist Attractions. 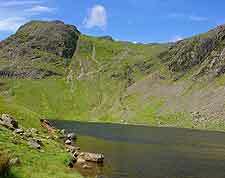 Spread around the Lake District are a series of quite surprising landmarks and impressive historical sites. The Borrowdale and Buttermere Valleys are known for their historical appearance, while the Brantwood House offers both grandeur and unparalleled views across Coniston Water. Once the home of William Wordsworth, Dove Cottage (Wordsworth Cottage) stands close to Lake Grasmere and features 30-minute guided tours, which are always popular. For a real taste of history in the Lake District, be sure to check out the Hardknott Castle Roman Fort and Keswick's outstanding Castlerigg Stone Circle, which date back some 2,000 years and 4,000 years respectively. 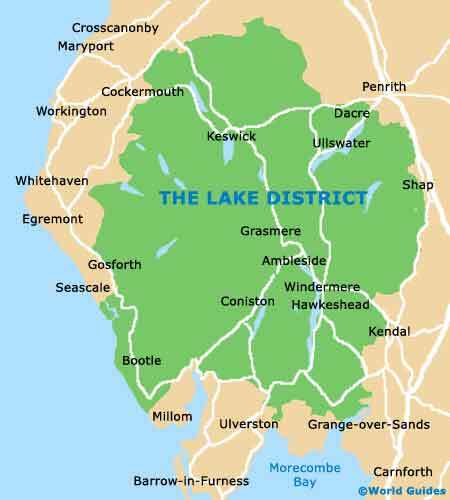 More information about Lake District Landmarks and Monuments. The many museums of the Lake District celebrate the most famous aspects of this beautiful area. Families will always enjoy spending time at the World of Beatrix Potter in Windermere, where the fairytale characters created by this much-loved author really do seem to come to life. Beatrix Potter is also a leading attraction in the village of Near Sawrey, where the 17th-century Hill Top farmhouse once inspired some of her best-known stories. Keswick is home to the truly exceptional Cars of the Stars Motor Museum, the family orientated Puzzling Place attraction and also the Victorian Museum and Art Gallery. Tourists may also by interested in the Windermere Steamboat Museum, which is rich in local lake-related information and packed with historical exhibits. More information about Lake District Museums and Lake District Art Galleries. Many tourists find that the Lake District is central to countless surrounding attractions, many of which are perfect for day trips. The towns of Alston, Carlisle, Kirkby Lonsdale, Penrith and Whitehaven are all within reach. It is also very easy to travel from the Lake District to a number of larger cities, including both Leeds and Newcastle upon Tyne. Leeds offers tourists an attractive waterfront and characterful Victorian Quarter, while Newcastle is where you will find some of England's most celebrated bridges, along with a number of surrounding seaside resorts, such as Whitley Bay. More information about Lake District Attractions Nearby.